I like tradition. I find comfort in the routine and joy in the celebration. I like singing “Take Me out to the Ballgame” during the seventh inning stretch, baking gingerbread cookies at Christmas, and indulging in a Ben & Jerry’s mint chocolate chip milkshake before taking off from Chicago’s Midway Airport. Not to mention, just the word “tradition” itself brings to mind a merry melody from one of my favorite musicals. Tradition holds that on October 31, 1517, Martin Luther hammered his 95 Theses onto the door of All Saints’ Church in Wittenberg, Germany. Scholars regularly communicated this way, placing their ideas in a public place for all to see and giving the opportunity for disputation. This time was different, though. 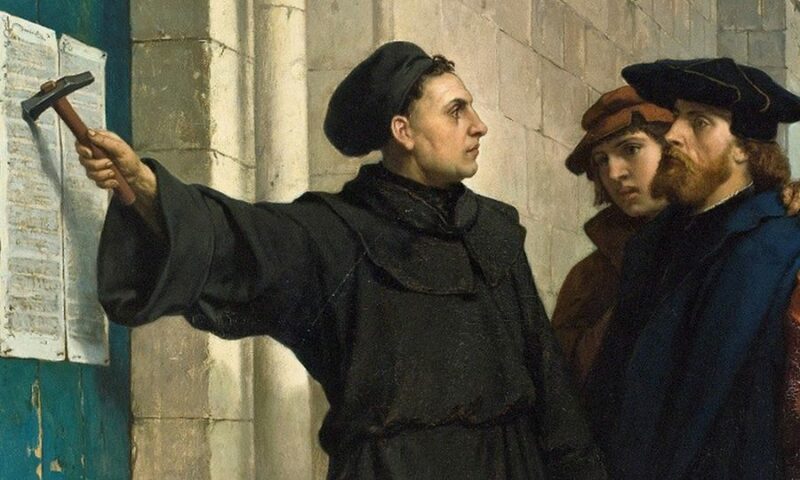 Luther’s concerns over selling indulgences – money paid for the forgiveness of sin – sparked what has become known as the Reformation. During the Reformation, some pretty unbiblical traditions were debated and ultimately uprooted in favor of returning to Bible basics. But those of us who like tradition…well, we tend to not like change. To put it lightly, it became a time of great upheaval and division in the Church. Frankly, it wasn’t pretty. But, it was necessary. Out of the Reformation emerged five ideas that I find pretty essential to our faith. When we take our eyes off these five biblical fundamentals, a reformation of our hearts and minds becomes needed. Am I adding to the absolute truth of the Bible? Scripture alone. Am I trying to earn God’s favor? Grace alone. Can my works save me? Faith alone. Can those who believe other religions be saved? Christ alone. Am I living for my own glory? Glory belongs to God alone. Glory belongs to God alone. This year, we celebrate the 500th Anniversary of the Reformation. Praise God for the men and women who have gone before us in the faith, giving their lives so that we could have the Bible in our own language and freeing us to return to the fundamentals of our faith. 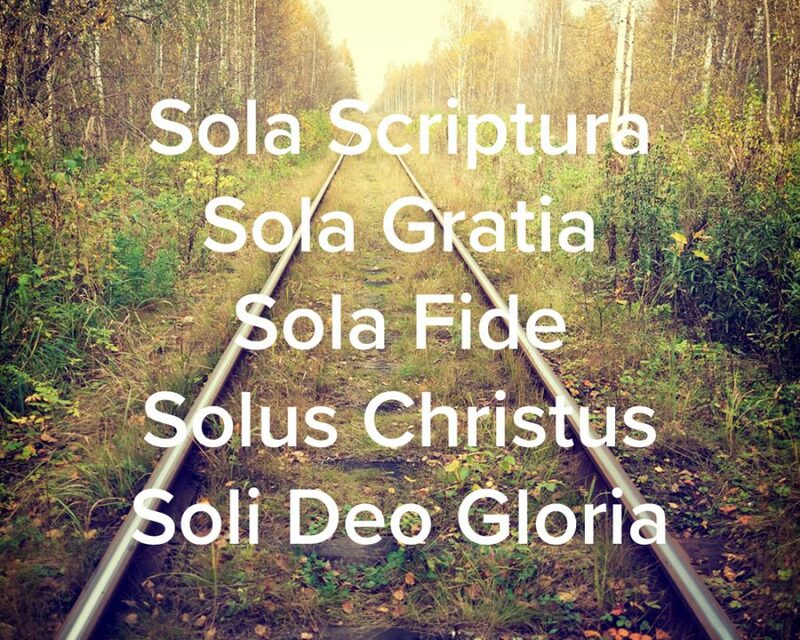 Soli Deo Gloria! What traditions do you enjoy? Share in the comments below!